Allison Williams is proving to be a style star. The actress’ sartorial choices on the red carpet have been nothing short of amazing. She has also proven that she can look just as stunning outside the velvet rope. For her appearance on ‘Late Show with David Letterman’ yesterday, Allison slipped into a neat white frock and polished the piece with a structured coat. The American actress, comedian, and singer capped off her outfit with a purse from Alexander McQueen and a pair of this season’s favorite heels — t-strap pumps. Allison’s pair, which is from Christian Louboutin, features double ankle straps and an oil-slick patent finish. Check out Allison’s outfit below, and tell us what you think. The whole ensemble is simple but also quite elegant and sophisticated. We actually can’t wait for the David Letterman episode to air so we can get a clearer view of her dress. 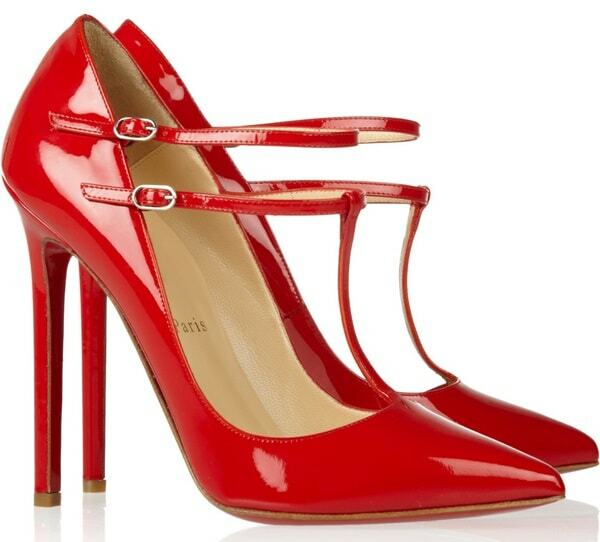 T-strap pumps are among the things you should consider getting this early 2014. 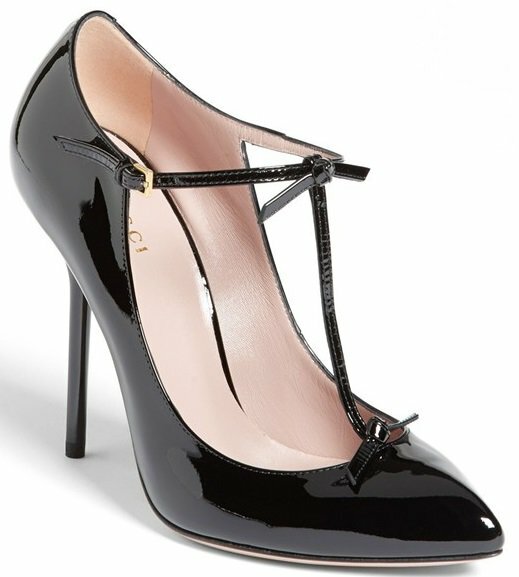 Compared with the classic ankle-strap pumps, t-strap pumps are more feminine and certainly a lot more flattering to wear. If you don’t have a pair yet, then you should grab one. 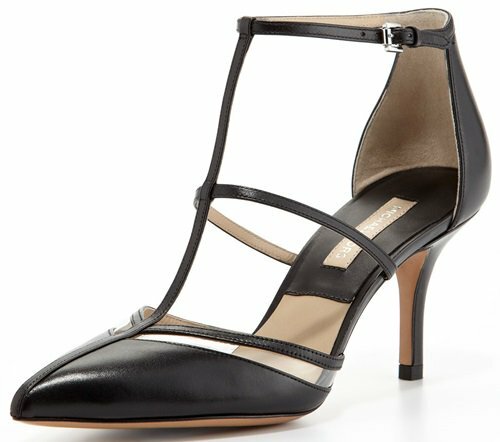 It won’t matter if the shoes are from a designer label or a mass-market brand, just as long as they’re gorgeous (and you can walk in them without limping). 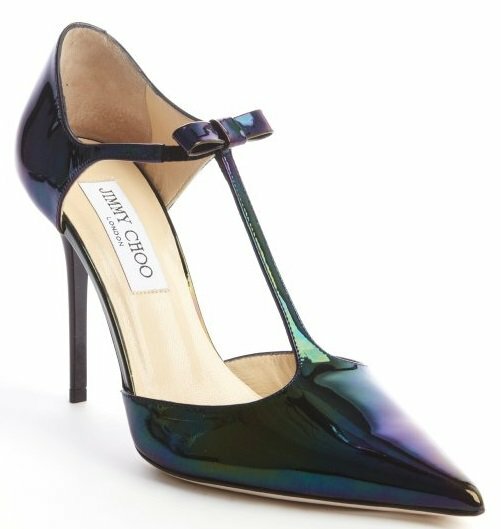 For alternatives to Allison’s Christian Louboutin “V-Neck” pumps, you can try the following premium options from Gucci and Jimmy Choo. But in case these are too pricey for your pocket, try the can-afford styles from Badgley Mischka and Michael Kors (also included below). Here’s an excerpt from Allison’s conversation with David Letterman.